If you need higher resolution jpg, let Clark know the file name and photo gallery (web address) it is in. #16 Ferrari, also ran in the Can-Am race. #1 & #2 Porsche, think they ran both races too. Think 43, 31, 10 & 29 all Lolas. 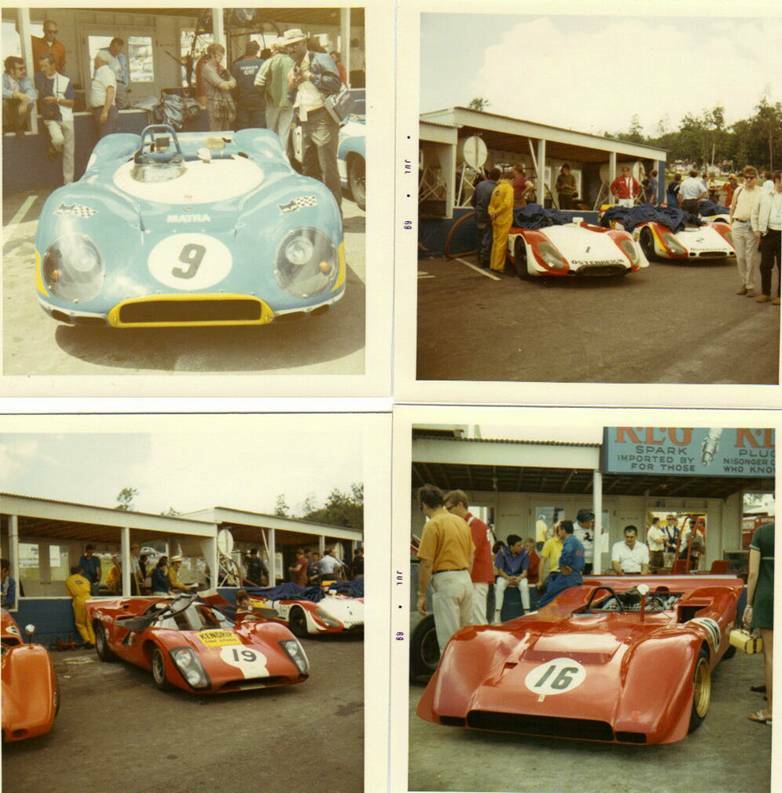 #4 & #5 were those back of the pack, independant Kiwi's (wink, wink, yes that suppose to be a joke) of Mr. McLaren & Hulme. 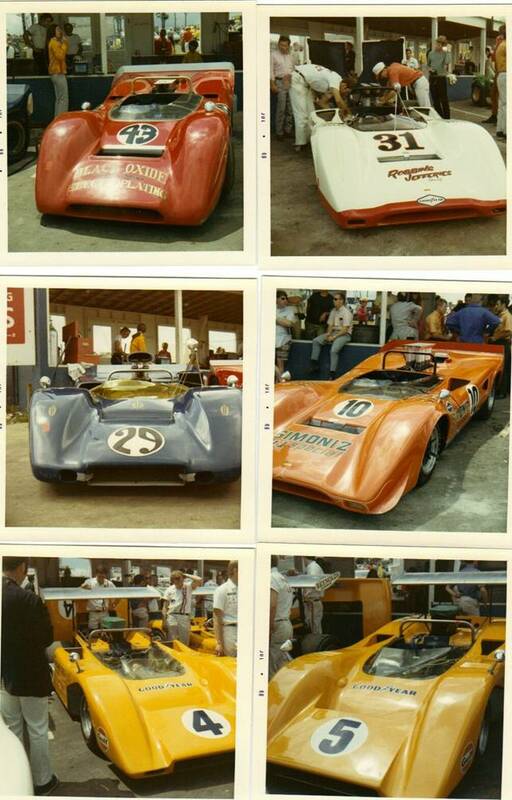 Next set will be late 60's Trans-Am pics.